We order and ship cars to Nigeria by container and RoRo shipments twice/month. Use 11234 as the zip code. To import cars, you need to fill an ‘I want form’ , or submit a ticket, with the car requested, its model, specs, the year and any other information. To ship for to Nigeria from US, we charge ~$1,200-1,400, cars to trucks/jeeps. If we are going to clear the car for you, ranging from ~$2,000 and above depending on the year and make of the car, for Lagos Nigeria (though this price varies, cars more recent than 2010 clear for 450,000-550,000 Naira. Since we are a wholesale large scale corporation, our total car cost to import cars are a good $3,000 to $10,000 cheaper than the prices you get locally (for the same quality). Note- Our charges vary depending on the car due to costs for insurance and liability variations. Standards- We guarantee you the highest standards in car selection. I love cars, and I personally over see the car purchase section of PerrySolution. Unless otherwise speccified, we go for lower mileage cars with little to no accident history. You may request for salvage or accident vehicles if you so desire, and we will give you estimates to buy and repair these. Some cars need minor repairs, new keys made, light replacement, bumber adjustment here and there. We try to do this here in the US, as it always is more reliable, easy and cost effective than doing it in your local country. We provide you with carfax history of your car on demand. After we provide you with an estimate of the cost, you pay half down as deposit to our local office and we go ahead and buy for you. It takes about 4-6 weeks for a car to get to west Africa. Above is a picture we took with R. Crossman of T motors (on ebay), one of the greatest exquisite car dealers in the USA while taking delivery of some client cars. 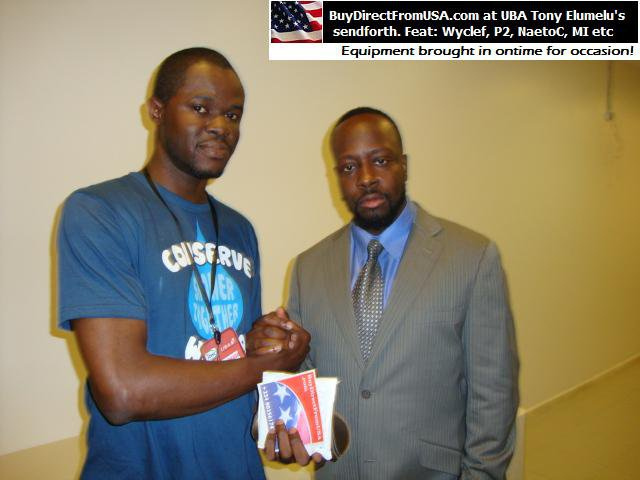 Robert points to the BuyDirectFromUSA car banner on the porsche to be delivered to a customer in Nigeria.